Beautiful car. finished in Brooklands Green Metallic over tan. A timing belt and water pump service was performed in August of 2016, along with installation of high performance brake pads and rotors and a Science of Speed Lost Motion Assembly and numerous other new parts. 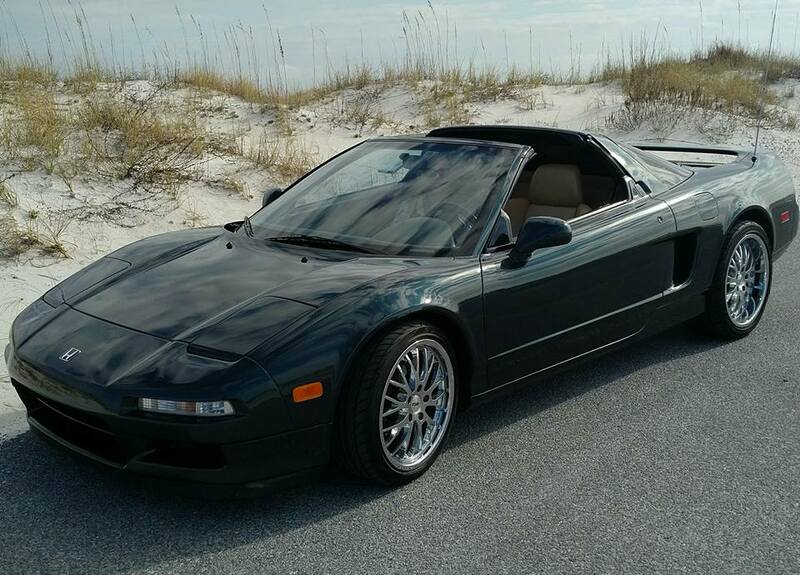 The 3.0L VTEC V6 is paired to a 5-speed manual and a number of modifications from previous owners are present. 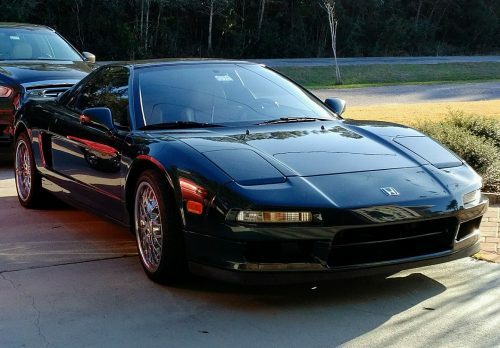 This NSX is sold with a clean Carfax documenting its longtime history in California before Indiana, and Florida. 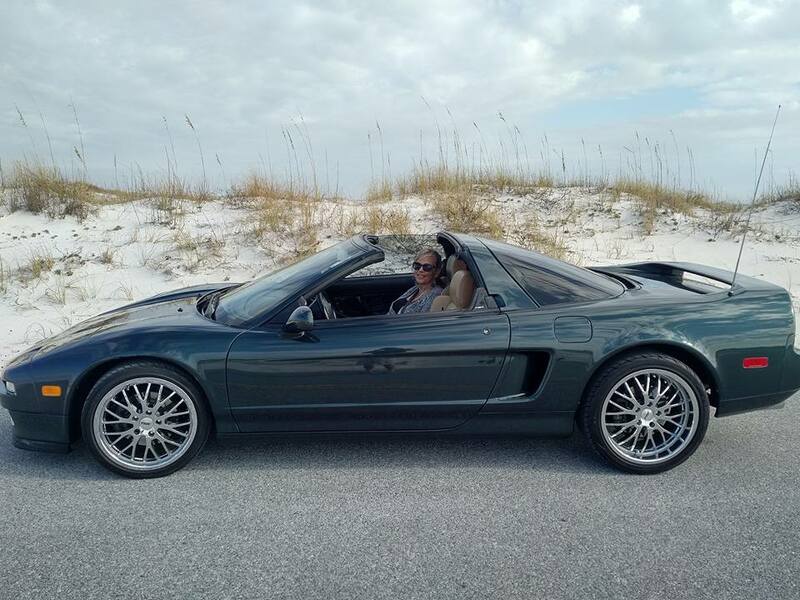 It is sold with a clean Florida title in the seller’s name. The wheels are a set of 17″ and 18″ TSW Snettertons. The paintwork is believed to be all original, with no runs or inconsistencies in the finish. 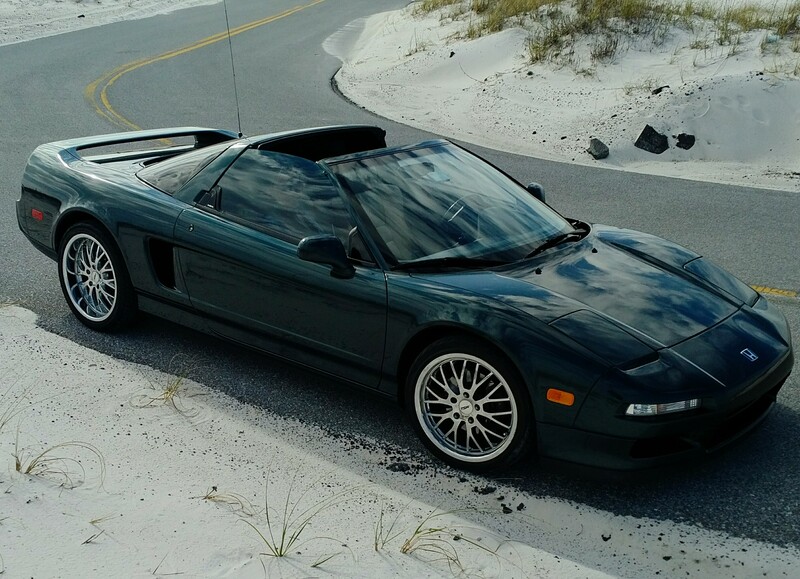 This Brooklands Green Pearl paint was only available from 1994-1996, and this car is one of 210 with this green over tan color combination. Some stone chipping is visible low on the front bumper near the black plastic chin spoiler. The paintwork higher up on the nose and other forward surfaces appears to be in good condition overall. The front Acura badge and taillight center section have been replaced with Honda-branded equivalents, though the originals are included. The 60k mile service was performed by Acura of Fremont, and it included a timing belt and water pump replacement. Other recent services include new Stoptech brake rotors, Hawk brake pads, a Science of Speed Lose Motion Assembly, camshaft plugs and seals, valve cover gaskets, spark plugs, and fresh fluids throughout. A new HVAC system was installed by Tim Smith Acura of Ft Walton Beach in Dec, along with replacement of all CV axle boots, and oil change. For 1995 the NSX received the upgraded Torque Reactive Differential, along with drive-by-wire. An aftermarket exhaust was fitted by a previous owner. This entry was posted on Wednesday, February 22nd, 2017 at 9:25 am	and is filed under Alabama, Florida, United States. You can follow any responses to this entry through the RSS 2.0 feed. Both comments and pings are currently closed.